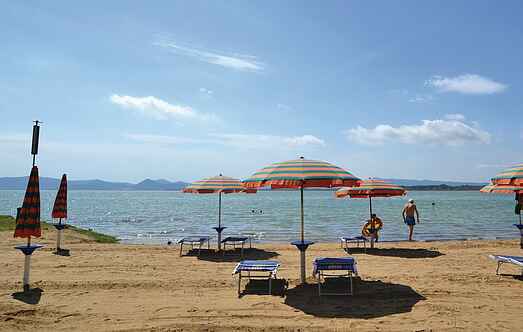 Find a vacation home to rent in Castiglione del Lago from our list of vacation rental properties. Campaya has over 53 vacation homes available in Castiglione del Lago, which give you the possibility to locate a unique accommodation in Castiglione del Lago which completes your check-list in search for the perfect self catering vacation apartments in Castiglione del Lago or vacation villas in Castiglione del Lago. 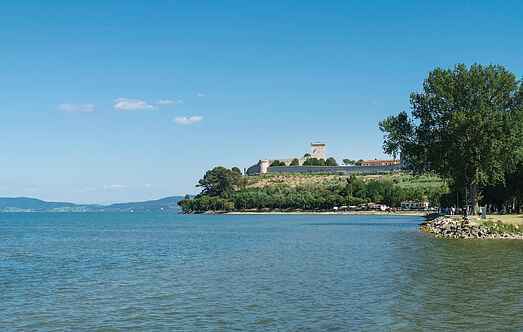 Old stone built country house dated 1684, in panoramic location by Lake Trasimeno, at the border with Tuscany. These three pleasant holiday homes, IUT223, IUT224 and IUT225 with covered terraces stand on a park-like ground. The home has rustic and convenient furnishings in country house style. Cosy apartment on the hills between Castiglione del Lago and Chiusi. An external staircase with small loggia leads to the large living room with kitchen.